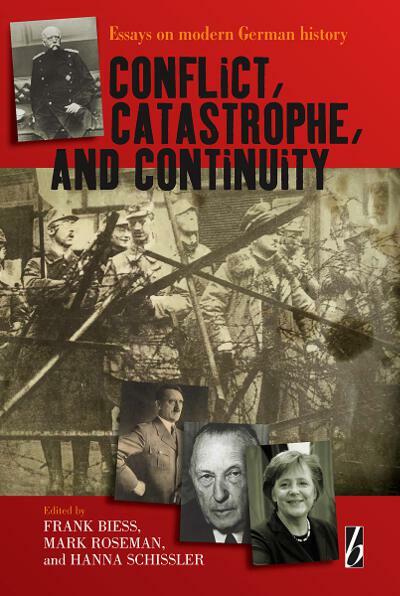 Bringing together some of the most prominent contemporary historians of modern Germany alongside innovative newcomers to the field, this volume offers new perspectives on key debates surrounding Germany’s descent into, and emergence from, the Nazi catastrophe. It explores the intersections between society, economy, and international policy, with a particular interest in the relations between elites and the wider society, and provides new insights into the complex continuities and discontinuities of modern German history. This volume offers a rich selection of essays that contribute to our understanding of the road to war, Nazism, and the Holocaust, as well as Germany’s transformation after 1945. Frank Biess is Associate Professor for Modern German and European History at the University of California, San Diego. He is the author of Homecomings. Returning POWs and the Legacies of Defeat in Postwar Germany, and is co-editing a volume on the comparative history of the European “postwar” after 1945. Mark Roseman holds the Pat M. Glazer chair in Jewish Studies at Indiana University. His publications include A Past in Hiding, Memory and Survival in Nazi Germany, and The Wannsee Conference: A Reconsideration. Hanna Schissler teaches modern history at the University of Hanover and is a Research Director at the Georg Eckert Institute in Braunschweig. Her publications include the edited volumes: The Miracle Years, A Cultural History of West Germany, and National Identity and Perceptions of the Past.